Good­hart’s Law states that “any ob­served statis­ti­cal reg­u­lar­ity will tend to col­lapse once pres­sure is placed upon it for con­trol pur­poses.” How­ever, this is not a sin­gle phe­nomenon. I pro­pose that there are (at least) four differ­ent mechanisms through which proxy mea­sures break when you op­ti­mize for them. The four types are Re­gres­sional, Causal, Ex­tremal, and Ad­ver­sar­ial. 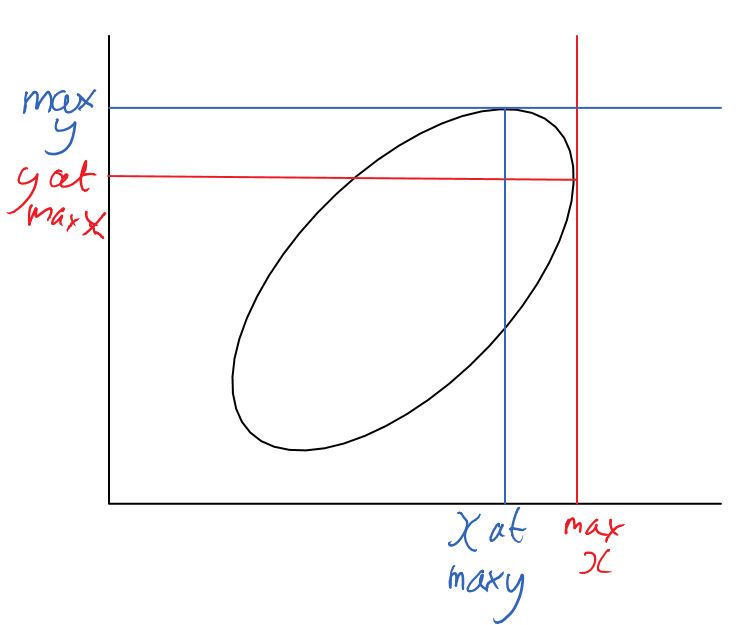 In this post, I will go into de­tail about these four differ­ent Good­hart effects us­ing math­e­mat­i­cal ab­strac­tions as well as ex­am­ples in­volv­ing hu­mans and/​or AI. I will also talk about how you can miti­gate each effect. Through­out the post, I will use V to re­fer to the true goal and use U to re­fer to a proxy for that goal which was ob­served to cor­re­late with V and which is be­ing op­ti­mized in some way. Model: When U is equal to V+X, where X is some noise, a point with a large U value will likely have a large V value, but also a large X value. Thus, when U is large, you can ex­pect V to be pre­dictably smaller than U.
Causal Good­hart—When there is a non-causal cor­re­la­tion be­tween the proxy and the goal, in­ter­ven­ing on the proxy may fail to in­ter­vene on the goal. Model: If V causes U (or if V and U are both caused by some third thing), then a cor­re­la­tion be­tween V and U may be ob­served. How­ever, when you in­ter­vene to in­crease U through some mechanism that does not in­volve V, you will fail to also in­crease V.
Ex­am­ple: some­one who wishes to be taller might ob­serve that height is cor­re­lated with bas­ket­ball skill and de­cide to start prac­tic­ing bas­ket­ball. Ex­tremal Good­hart—Wor­lds in which the proxy takes an ex­treme value may be very differ­ent from the or­di­nary wor­lds in which the cor­re­la­tion be­tween the proxy and the goal was ob­served. Model: Pat­terns tend to break at sim­ple joints. One sim­ple sub­set of wor­lds is those wor­lds in which U is very large. Thus, a strong cor­re­la­tion be­tween U and V ob­served for nat­u­rally oc­cur­ing U val­ues may not trans­fer to wor­lds in which U is very large. Fur­ther, since there may be rel­a­tively few nat­u­rally oc­cur­ing wor­lds in which U is very large, ex­tremely large U may co­in­cide with small V val­ues with­out break­ing the statis­ti­cal cor­re­la­tion. Ad­ver­sar­ial Good­hart—When you op­ti­mize for a proxy, you provide an in­cen­tive for ad­ver­saries to cor­re­late their goal with your proxy, thus de­stroy­ing the cor­re­la­tion with your goal. Model: Con­sider an agent A with some differ­ent goal W. Since they de­pend on com­mon re­sources, W and V are nat­u­rally op­posed. If you op­ti­mize U as a proxy for V, and A knows this, A is in­cen­tivized to make large U val­ues co­in­cide with large W val­ues, thus stop­ping them from co­in­cid­ing with large V val­ues. Ex­am­ple: as­piring NBA play­ers might just lie about their height. When se­lect­ing for a proxy mea­sure, you se­lect not only for the true goal, but also for the differ­ence be­tween the proxy and the goal. When U is equal to V+X, where X is some noise, a point with a large U value will likely have a large V value, but also a large X value. Thus, when U is large, you can ex­pect V to be pre­dictably smaller than U. The above de­scrip­tion is when U is meant to be an es­ti­mate of V. A similar effect can be seen when U is only meant to be cor­re­lated with V by look­ing at per­centiles. When a sam­ple is cho­sen which is a typ­i­cal mem­ber of the top p per­cent of all U val­ues, it will have a lower V value than a typ­i­cal mem­ber of the top p per­cent of all V val­ues. As a spe­cial case, when you se­lect the high­est U value, you will of­ten not se­lect the high­est V value. Ex­am­ples of Re­gres­sional Good­hart are ev­ery­where. Every time some­one does some­thing that is any­thing other than the thing that max­i­mizes their goal, you could view it as them op­ti­miz­ing some kind of proxy (and the ac­tion to max­i­mize the proxy is not the same as the ac­tion to max­i­mize the goal). Re­gres­sion to the Mean, Win­ner’s Curse, and Op­ti­mizer’s Curse are all ex­am­ples of Re­gres­sional Good­hart, as is the Tails Come Apart phe­nomenon. Re­gres­sional Good­hart is by far the most be­nign of the four Good­hart effects. It is also the hard­est to avoid, as it shows up ev­ery time the proxy and the goal are not ex­actly the same. When fac­ing only Re­gres­sional Good­hart, you still want to choose the op­tion with the largest proxy value. While the proxy will be an over­es­ti­mate it will still be bet­ter in ex­pec­ta­tion than op­tions with a smaller proxy value. If you have con­trol over what prox­ies to use, you can miti­gate Re­gres­sional Good­hart by choos­ing prox­ies that are more tightly cor­re­lated with your goal. When there is a non-causal cor­re­la­tion be­tween the proxy and the goal, in­ter­ven­ing on the proxy may fail to in­ter­vene on the goal. If V causes U (or if V and U are both caused by some third thing), then a cor­re­la­tion be­tween V and U may be ob­served. How­ever, when you in­ter­vene to in­crease U through some mechanism that does not in­volve V, you will fail to also in­crease V.
I also can­not think of a good AI ex­am­ple. Most AI is not in act­ing in the kind of en­vi­ron­ment where Causal Good­hart would be a prob­lem, and when it is act­ing in that kind of en­vi­ron­ment Causal Good­hart er­rors are eas­ily avoided. Most of the time the phrase “Cor­re­la­tion does not im­ply cau­sa­tion” is used it is point­ing out that a pro­posed policy might be sub­ject to Causal Good­hart. You can tell the differ­ence be­tween Causal Good­hart and the other three types be­cause Causal Good­hart goes away when just sam­ple a world with large proxy value, rather than in­ter­vene to cause the proxy to hap­pen. One way to avoid Causal Good­hart is to only sam­ple from or choose be­tween wor­lds ac­cord­ing to their proxy val­ues, rather than caus­ing the proxy. This clearly can­not be done in all situ­a­tions, but it is use­ful to note that there is a class of prob­lems for which Causal Good­hart can­not cause prob­lems. For ex­am­ple, con­sider choos­ing be­tween al­gorithms based on how well they do on some test in­puts, and your goal is to choose an al­gorithm that performs well on ran­dom in­puts. The fact that you choose an al­gorithm does not effect its perfor­mance, and you don’t have to worry about Causal Good­hart. In cases where you ac­tu­ally change the proxy value, you can try to in­fer the causal struc­ture of the vari­ables us­ing statis­ti­cal meth­ods, and check that the proxy ac­tu­ally causes the goal be­fore you in­ter­vene on the proxy. Wor­lds in which the proxy takes an ex­treme value may be very differ­ent from the or­di­nary wor­lds in which the cor­re­la­tion be­tween the proxy and the goal was ob­served. Pat­terns tend to break at sim­ple joints. One sim­ple sub­set of wor­lds is those wor­lds in which U is very large. Thus, a strong cor­re­la­tion be­tween U and V ob­served for nat­u­rally oc­cur­ing U val­ues may not trans­fer to wor­lds in which U is very large. Fur­ther, since there may be rel­a­tively few nat­u­rally oc­cur­ing wor­lds in which U is very large, ex­tremely large U may co­in­cide with small V val­ues with­out break­ing the statis­ti­cal cor­re­la­tion. Hu­mans evolve to like sug­ars, be­cause sug­ars were cor­re­lated in the an­ces­tral en­vi­ron­ment (which has fewer sug­ars) with nu­tri­tion and sur­vival. Hu­mans then op­ti­mize for sug­ars, have way too much, and be­come less healthy. As an ab­stract math­e­mat­i­cal ex­am­ple, let U and V be two cor­re­lated di­men­sions in a mul­ti­vari­ate nor­mal dis­tri­bu­tion, but we cut off the nor­mal dis­tri­bu­tion to only in­clude the ball of points in which U2+V2<n for some large n. This ex­am­ple rep­re­sents a cor­re­la­tion be­tween U and V in nat­u­rally oc­cur­ring points, but also a bound­ary around what types of points are fea­si­ble that need not re­spect this cor­re­la­tion. Imag­ine you were to sam­ple k points and take the one with the largest U value. As you in­crease k, at first, this op­ti­miza­tion pres­sure lets you find bet­ter and bet­ter points for both U and V, but as you in­crease k to in­finity, even­tu­ally you sam­ple so many points that you will find a point near U=n,V=0. When enough op­ti­miza­tion pres­sure was ap­plied, the cor­re­la­tion be­tween U and V stopped mat­ter­ing, and in­stead the bound­ary of what kinds of points were pos­si­ble at all de­cided what kind of point was se­lected. Many ex­am­ples of ma­chine learn­ing al­gorithms do­ing bad be­cause of overfit­ting are a spe­cial case of Ex­tremal Good­hart. Ex­tremal Good­hart differs from Re­gres­sional Good­hart in that Ex­tremal Good­hart goes away in sim­ple ex­am­ples like cor­re­lated di­men­sions in a mul­ti­vari­ate nor­mal dis­tri­bu­tion, but Re­gres­sional Good­hart does not. Quan­tiliza­tion and Reg­u­lariza­tion are both use­ful for miti­gat­ing Ex­tremal Good­hart effects. In gen­eral, Ex­tremal Good­hart can be miti­gated by choos­ing an op­tion with a high proxy value, but not so high as to take you to a do­main dras­ti­cally differ­ent from the one in which the proxy was learned. When you op­ti­mize for a proxy, you provide an in­cen­tive for ad­ver­saries to cor­re­late their goal with your proxy, thus de­stroy­ing the cor­re­la­tion with your goal. Con­sider an agent A with some differ­ent goal W. Since they de­pend on com­mon re­sources, W and V are nat­u­rally op­posed. If you op­ti­mize U as a proxy for V, and A knows this, A is in­cen­tivized to make large U val­ues co­in­cide with large W val­ues, thus stop­ping them from co­in­cid­ing with large V val­ues. When you use a met­ric to choose be­tween peo­ple, but then those peo­ple learn what met­ric you use and game that met­ric, this is an ex­am­ple of Ad­ver­sar­ial Good­hart. Ad­ver­sar­ial Good­hart is the mechanism be­hind a su­per­in­tel­li­gent AI mak­ing a Treach­er­ous Turn. Here, V is do­ing what the hu­mans want for­ever.U is do­ing what the hu­mans want in the train­ing cases where the AI does not have enough power to take over, and W is what­ever the AI wants to do with the uni­verse. Ad­ver­sar­ial Good­hart is also be­hind the ma­lig­nancy of the uni­ver­sal prior, where you want to pre­dict well for­ever (V), so hy­pothe­ses might pre­dict well for a while (U), so that they can ma­nipu­late the world with their fu­ture pre­dic­tions (W). Ad­ver­sar­ial Good­hart is the pri­mary mechanism be­hind the origi­nal Good­hart’s Law. Ex­tremal Good­hart can hap­pen even with­out any ad­ver­saries in the en­vi­ron­ment. How­ever, Ad­ver­sar­ial Good­hart may take ad­van­tage of Ex­tremal Good­hart, as an ad­ver­sary can more eas­ily ma­nipu­late a small num­ber of wor­lds with ex­treme proxy val­ues, than it can ma­nipu­late all of the wor­lds. Suc­ces­fully avoid­ing Ad­ver­sar­ial Good­hart prob­lems is very difficult in the­ory, and we un­der­stand very lit­tle about how to do this. In the case of non-su­per­in­tel­li­gent ad­ver­saries, you may be able to avoid Ad­ver­sar­ial Good­hart by keep­ing your prox­ies se­cret (for ex­am­ple, not tel­ling your em­ploy­ees what met­rics you are us­ing to eval­u­ate them). How­ever, this is un­likely to scale to deal­ing with su­per­in­tel­li­gent ad­ver­saries. For ex­am­ple, say you have a com­pli­cated goal that in­cludes want­ing to go to Mars. If you use a com­pli­cated search pro­cess to find a plan that is likely to get you to Mars, ad­ver­saries in your search pro­cess may sug­gest a plan that in­volves build­ing a su­per­in­tel­li­gence that gets you to Mars, but also kills you. I liked this post but wished it was short enough to store it all in my work­ing mem­ory. Partly be­cause of the site for­mat­ting, partly be­cause I think it was writ­ten as if it were an es­say in­stead of a short refer­ence post (which seems rea­son­able for the OP), I found it hard to scroll through with­out los­ing my train of thought. Re­gres­sional—When se­lect­ing for a proxy mea­sure, you se­lect not only for the true goal, but also for the differ­ence be­tween the proxy and the goal. Causal - When there is a non-causal cor­re­la­tion be­tween the proxy and the goal, in­ter­ven­ing on the proxy may fail to in­ter­vene on the goal. Ex­am­ple: an early 1900s col­lege bas­ket­ball team gets all of their play­ers high-heeled shoes, be­cause tal­l­ness causes peo­ple to be bet­ter at bas­ket­ball. In­stead, the play­ers are slowed and get more foot in­juries. Ex­tremal—Wor­lds in which the proxy takes an ex­treme value may be very differ­ent from the or­di­nary wor­lds in which the cor­re­la­tion be­tween the proxy and the goal was ob­served. Ad­ver­sar­ial—When you op­ti­mize for a proxy, you provide an in­cen­tive for ad­ver­saries to cor­re­late their goal with your proxy, thus de­stroy­ing the cor­re­la­tion with your goal. Model: Con­sider an agent A with some differ­ent goal W. Since they de­pend on com­mon re­sources, W and V are nat­u­rally op­posed. If you op­ti­mize U as a proxy for V, and Aknows this, A is in­cen­tivized to make large U val­ues co­in­cide with large W val­ues, thus stop­ping them from co­in­cid­ing with large V val­ues. The above de­scrip­tion is when U is meant to be an es­ti­mate of V. A similar effect can be seen when U is only meant to be cor­re­lated with V by look­ing at per­centiles. When a sam­ple is cho­sen which is a typ­i­cal mem­ber of the top p per­cent of all Uval­ues, it will have a lower V value than a typ­i­cal mem­ber of the top p per­cent of all V val­ues. As a spe­cial case, when you se­lect the high­est U value, you will of­ten not se­lect the high­est V value. Re­gres­sional Good­hart hap­pens ev­ery time some­one does some­thing that is any­thing other than pre­cisely the thing that max­i­mizes their goal. Re­gres­sion to the Mean, Win­ner’s Curse, Op­ti­mizer’s Curse, Tails Come Apart phe­nomenon. When fac­ing only Re­gres­sional Good­hart, choose the op­tion with the largest proxy value. It’ll still be an over­es­ti­mate, but will be bet­ter in ex­pec­ta­tion than op­tions with a smaller proxy value. If pos­si­ble, choose prox­ies more tightly cor­re­lated with your goal. If V causes U (or if V and U are both caused by some third thing), then a cor­re­la­tion be­tween V and U may be ob­served. How­ever, when you in­ter­vene to in­crease Uthrough some mechanism that does not in­volve V, you will fail to also in­crease V.
As an ab­stract math­e­mat­i­cal ex­am­ple, let U and V be two cor­re­lated di­men­sions in a mul­ti­vari­ate nor­mal dis­tri­bu­tion, but we cut off the nor­mal dis­tri­bu­tion to only in­clude the ball of points in which U2+V2<n for some large n. This ex­am­ple rep­re­sents a cor­re­la­tion be­tween U and V in nat­u­rally oc­cur­ring points, but also a bound­ary around what types of points are fea­si­ble that need not re­spect this cor­re­la­tion. Imag­ine you were to sam­ple k points and take the one with the largest Uvalue. As you in­crease k, at first, this op­ti­miza­tion pres­sure lets you find bet­ter and bet­ter points for both U and V, but as you in­crease k to in­finity, even­tu­ally you sam­ple so many points that you will find a point near U=n,V=0. When enough op­ti­miza­tion pres­sure was ap­plied, the cor­re­la­tion be­tween U and V stopped mat­ter­ing, and in­stead the bound­ary of what kinds of points were pos­si­ble at all de­cided what kind of point was se­lected. Con­sider an agent A with some differ­ent goal W. Since they de­pend on com­mon re­sources, W and V are nat­u­rally op­posed. If you op­ti­mize U as a proxy for V, and Aknows this, A is in­cen­tivized to make large U val­ues co­in­cide with large W val­ues, thus stop­ping them from co­in­cid­ing with large V val­ues. Ad­ver­sar­ial Good­hart is the mechanism be­hind a su­per­in­tel­li­gent AI mak­ing a Treach­er­ous Turn. Here, V is do­ing what the hu­mans want for­ever. U is do­ing what the hu­mans want in the train­ing cases where the AI does not have enough power to take over, and W is what­ever the AI wants to do with the uni­verse. I am very happy you did this! I also changed the causal bas­ket­ball ex­am­ple. I ac­tu­ally didn’t make many other changes (origi­nally I was plan­ning to rewrite large chunks of it to re­flect my own un­der­stand­ing. In­stead, the pri­mary thing ended up be­ing “what hap­pens when I sim­ply con­vert a post with 18px font into a com­ment with 13px font). I trimmed out a few words that seemed ex­ces­sive, but this was more an ex­er­cise in “what if LW posts looked more like com­ments?” or some­thing. That said, if you think it’d be use­ful I’d be up for mak­ing an­other more se­ri­ous at­tempt to trim it down and/​or make it more read­able—this is some­thing I could imag­ine turn­ing out to be a valuable thing for me to spend time on on a reg­u­lar ba­sis. I like this taxaon­omy of an im­por­tant con­cept, and ex­pect it to be­come a com­mon refer­ence work in other writ­ings (for me, at least). Se­con­dar­ily, I also ap­pre­ci­ated the struc­ture, and how much the tech­ni­cal lan­guage was only used to make things clearer (to me at least) and not to need­lessly obfus­cate at all. Pro­moted to Fea­tured. Edit: Or, I will pro­mote it to Fea­tured once my but­ton for pro­mot­ing it works. Will ping Oli/​Ray about this presently. Added: Here is a re­cent com­ment where I would’ve liked to link to this to help ex­plain some­thing, and have now gone back and re-in­serted it. I think the ex­am­ple of sugar is off. Su­gar was not origi­nally a proxy for vi­tam­ins, be­cause sugar was rarer than vi­tam­ins. A taste for sugar was op­ti­miz­ing for calories, which at the time was heav­ily cor­re­lated with sur­vival. If our an­ces­tors had ac­cess to twinkies, they would have benefited from them. The prob­lem isn’t that we be­came bet­ter at hack­ing the sugar sig­nal, it’s that we evolved an open ended prefer­ence for sugar when the util­ity curve even­tu­ally be­comes nega­tive. A po­ten­tial re­place­ment: we evolved to find bright, shiny col­ors in fruit at­trac­tive be­cause that sig­nified vi­tam­ins, and mod­ern breed­ing tech­niques have com­pletely hacked this. I worry I’m be­ing pedan­tic by bring­ing this up, but I think the differ­ence be­tween “hack­able prox­ies” and “ac­cu­rate prox­ies for which we mis­mod­eled the un­der­ly­ing re­al­ity” is im­por­tant. Hmm, I think the fact that if our an­ces­tors had ac­cess to twinkies they would have benefit­ted from them is why it is a cor­rect ex­am­ple. The point is that we “learned” sugar is good from a train­ing set in which sugar is low. Then, when we be­came bet­ter at op­ti­miz­ing for sugar, sugar be­came high and the proxy stopped work­ing. It seems to me that you are ar­gu­ing that the sugar ex­am­ple is not Ad­ver­sar­ial Good­hart, which I agree with. The thing where open ended prefer­ences break be­cause when you get too much the util­ity curve be­comes nega­tive, is one of the things I am try­ing to point at with Ex­tremal Good­hart. Okay, I think I dis­agree that ex­trap­o­lat­ing be­yond the range of your data is Good­hart­ing. I use the term for the nar­rower case where ei­ther the sig­nal or the value stays in the trained range, but be­come very di­ver­gent from each other. E.g. ar­tifi­cial sweet­en­ers break the link be­tween sweet­ness and calories. I don’t think this is quite iso­mor­phic to the first para­graph, but highly re­lated: I think of sweet­ness as a proxy for calories. Are you defin­ing sweet­ness as a proxy for good for me? I am think­ing of sugar as a proxy for good for me. I do not think that all in­stances of train­ing data not match­ing the en­vi­ron­ment you are op­ti­miz­ing are Good­hart. How­ever if the rea­son that the en­vi­ron­ment does not match the train­ing is be­cause the proxy is large, and the rea­son the proxy is large is be­cause you are op­ti­miz­ing for it, then the op­ti­miza­tion causes the failure of the proxy, which is why I am call­ing it Good­hart. For an AI re­lated Causal Good­hart ex­am­ple, what about Sch­mid­hu­ber’s idea than an AI should max­imise “com­plex­ity”? Since hu­mans are the main cause of com­plex­ity (in the sense he was think­ing of) in the cur­rent world, but would not be in an ex­treme world, this seems to fit. Very in­ter­est­ing! I like this for­mal­iza­tion/​cat­e­go­riza­tion. Hm… I’d have filed “Why the tails come apart” un­der “Ex­tremal Good­hart”: this image from that post is al­most ex­actly what I was pic­tur­ing while read­ing your ab­stract ex­am­ple for Ex­tremal Good­hart. Is Ex­tremal “just” a spe­cial case of Re­gres­sional, where that el­lipse is a cir­cle? Or am I miss­ing some­thing? Height is cor­re­lated with bas­ket­ball abil­ity. Re­gres­sional: But the best bas­ket­ball player in the world (ac­cord­ing to the NBA MVP award) is just 6′3″ (1.91m), and a ran­domly se­lected 7 foot (2.13m) tall per­son in his 20s would prob­a­bly be pretty good at bas­ket­ball but not NBA cal­iber. That’s re­gres­sion to the mean; the tails come apart. Ex­tremal: The tallest per­son on record, Robert Wad­low, was 8′11″ (2.72m). He grew to that height be­cause of a pi­tu­itary di­s­or­der, he would have strug­gled to play bas­ket­ball be­cause he “re­quired leg braces to walk and had lit­tle feel­ing in his legs and feet”, and he died at age 22. His bas­ket­ball abil­ity was well be­low what one might naively pre­dict based on his height and the re­gres­sion line, and that is un­sur­pris­ing be­cause the hu­man body wasn’t de­signed for such an ex­treme height. It would be re­ally nice if we had an ex­am­ple like this that worked well for all four types. Ad­ver­sar­ial: A col­lege bas­ket­ball player who wants to get drafted early and signed to a big con­tract grows his hair up, so that NBA teams will mea­sure him as be­ing taller (up to the top of his hair). Many N.B.A. hope­fuls ex­ag­ger­ate their height while in high school or col­lege to make them­selves more ap­peal­ing to coaches and scouts who pre­fer taller play­ers. Col­lins, for ex­am­ple, re­mem­bers the ex­act day he picked to ex­pe­rience a growth spurt. Vic­tor Dolan, head of the chi­ro­prac­tic di­vi­sion at Doc­tors’ Hospi­tal in Staten Is­land, said play­ers could in­crease their height by be­ing mea­sured early in the morn­ing, be­cause ver­te­brae be­come com­pressed as the day pro­gresses. A lit­tle up­side-down stretch­ing does not hurt, ei­ther. “If you get mea­sured on an in­ver­sion ma­chine, and do it when you first wake up, maybe you could squeeze out an ex­tra inch and a half,” Dolan said. I’m try­ing to think of a causal good­heart one. A bad one I came up with is that if some­one thinks the rea­son taller peo­ple get bet­ter ca­reers is be­cause the hiring com­mitte likes tall peo­ple, and so the per­son wears heels in their shoes, then this is a causal god­heart be­cause they’re try­ing to win on a proxy but in a way causally un­re­lated to the goal of hav­ing a good ca­reer. But ev­ery­one knows the true causal story and don’t make this mis­take, so it’s not a good ex­am­ple. Is there a causal story peo­ple don’t know about? Like per­haps some false be­lief about win­ning streaks (as op­posed to the stan­dard Kah­ne­man story of re­gres­sion to the mean). Causal: An early 1900s col­lege bas­ket­ball team gets all of their play­ers high-heeled shoes, be­cause tal­l­ness causes peo­ple to be bet­ter at bas­ket­ball. In­stead, the play­ers are slowed and get more foot in­juries. Ad­ver­sar­ial: The New York Knicks’ coach, while study­ing the his­tory of bas­ket­ball, finds the story about the col­lege team with high heels. He gets mar­keters to go to other league teams and con­vince them to wear high heels. A few weeks later, half of the star play­ers in the league are out, and the Knicks eas­ily win the cham­pi­onship. I thought of al­most this ex­act thing (with stilts). I like it and it is what I plan on us­ing for when I want a sim­ple ex­am­ple. It wish it was more re­al­is­tic though. If you sam­ple a bunch of points from a mul­ti­vari­ate nor­mal with­out the large cir­cu­lar bound­ary in my ex­am­ple, the points will roughly form an el­lipse, and the tails come apart thing will still hap­pen. This would be Regers­sional Good­hart. When you add the cir­cu­lar bound­ary, some­thing weird hap­pens where now you op­ti­miza­tion is not just failing to find the best point, but ac­tively work­ing against you. If you op­ti­mize weakly for the proxy, you will get a large true value, but when you op­ti­mize very strongly you will end up with a low true value. I up­voted the post for the gen­eral the­ory. On the other hand, I think the ex­am­ples could be more clear and it would be good to find ex­am­ples that are more com­monly faced. I agree! The main product is the the­ory. I used ex­am­ples to try to help com­mu­ni­cate the the­ory, but they are not com­monly faced at all. Pat­terns tend to break at sim­ple joints. One sim­ple sub­set of wor­lds is those wor­lds in which V is very large. Thus, a strong cor­re­la­tion be­tween U and V ob­served for nat­u­rally oc­cur­ing V val­ues may not trans­fer to wor­lds in which V is very large. Fur­ther, since there may be rel­a­tively few nat­u­rally oc­cur­ing wor­lds in which V is very large, ex­tremely large V may co­in­cide with small U val­ues with­out break­ing the statis­ti­cal cor­re­la­tion. Are U and V swapped here? I was ex­pect­ing the dis­cus­sion of Ex­tra­mal Good­hart to be about ex­treme proxy val­ues, and U was defined to be the proxy at the be­gin­ning of the post. Also, as a re­lated side-point, I’d add Co­bra effect to the list. Model: V is the true goal, but can’t be in­cen­tivized. R is an eas­ily mea­sured con­se­quence of V which can be ac­com­plished other ways. If any of the other ways to acheive R are eas­ier than ac­com­plish­ing the true goal, Agents will pur­sue that in­stead of the in­tended goal. Ex­am­ple: A baske­ball player wants to im­press the NBA re­cruiters, so he pays the other team to lose the game. They do so by not show­ing up, thereby forfeit­ing and los­ing, as agreed. Ad­ver­sar­ial Good­hart is the only one that I’d say Good­hart may have in­tended, and I think they dy­nam­ics are more com­plex than you listed here as I’ve ar­gued ex­ten­sively: https://​​www.rib­bon­farm.com/​​2016/​​06/​​09/​​good­harts-law-and-why-mea­sure­ment-is-hard/​​ - but you were much more con­cise, and I should similarly for­mal­ize my un­der­stand­ing. But this is re­ally helpful, and I should be in touch with you about for­mal­iz­ing some of this fur­ther if I ever get my com­mit­tee to sign off of this dis­ser­ta­tion. Or use mark­down syn­tax for images.